The wild ride of a turboprop after discontinuing a landing approach raises issues of pilot experience, human performance and limitations, and cockpit design. The Shetland islands off the north coast of Scotland are closer to the Arctic Circle than London, windswept, and, at 60 degrees north, subject to long and deep winter darkness. Aviation plays a prominent role in linking this subarctic archipelago to the mainland and the world, with considerable demand coming from the oil and lately, the wind power industries based there. Its weather and isolation provide a distinctive set of operational challenges. The islands, once isolated from the mainland for the entire winter, have been serviced by scheduled flights since 1936, operating year-round since the 1970s. 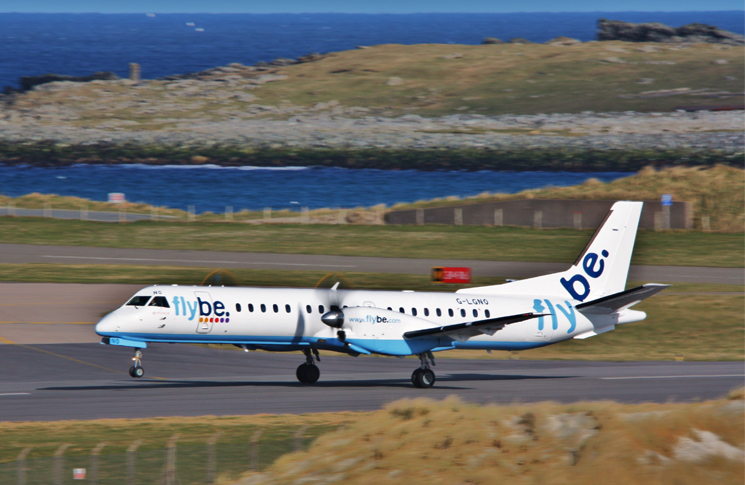 One such flight was BE6780, a Saab 2000, operated by Scottish airline Loganair on 15 December 2014. 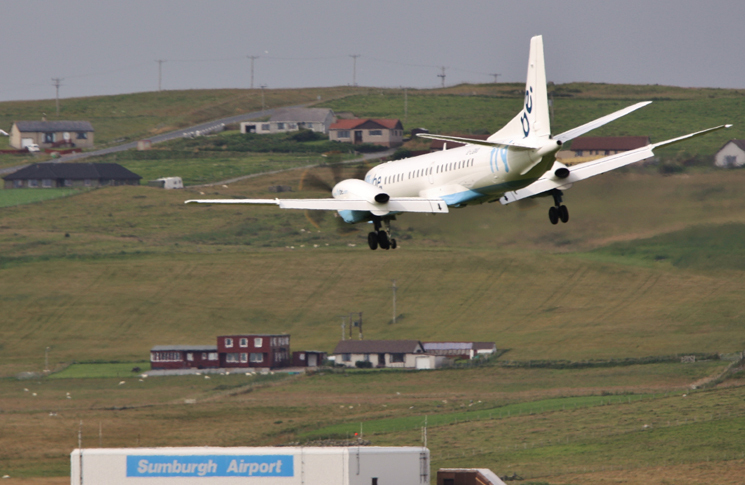 About 19.10 local time the aircraft, registered G-LGNO was on approach to Sumburgh, the Shetlands’ main airport. The weather was living up to its eyebrow-raising forecast of thunderstorms, rain, snow and hail, with winds gusting up to 60 knots. Earlier, the captain had briefed the first officer on the risks associated with a possible lightning strike at night. Flight deck lighting had been turned up, the locations of torches had been checked and the location of the elevator emergency trim switch noted. The captain also set up the radio tuning unit on the left side of the flight deck to be available as an ILS display. The crew slowed the aircraft to turbulent air penetration speed, VA (205 knots) and switched on ice protection, as a precaution; there was no ice build-up. As the aircraft established on base leg for an ILS approach to runway 27 Sumburgh ATC called: rain, snow and a wet runway at the airport. The aircraft descended to 2000 feet and turned on to a long (nine nautical miles) final when the captain noticed red on the weather radar. It was a storm cell near the far end of the runway. For the captain this was the last straw. He quit the approach and selected a southerly heading. As he was telling ATC of his decision, passengers in the forward cabin momentarily saw something terrifying—ball lightning inside the aircraft. Lightning struck the aircraft immediately after, entering at the radome and exiting at the auxiliary power unit (APU) exhaust in the tail. 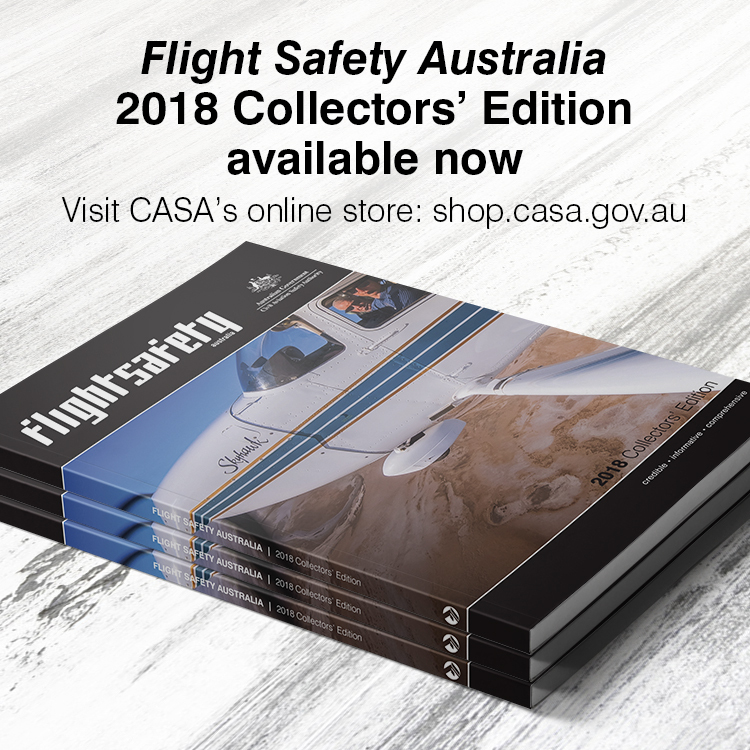 The captain, in the middle of a radio call to ATC, ‘uttered an expletive and stopped transmitting’, in the dry words of the official report from the UK Air Accidents Investigation Board (AAIB). In a masterpiece of bureaucratic understatement, the AAIB noted that the captain’s involuntary profanity, ‘accords with the unpleasant and surprising nature of lightning strike events’. The shocked crew suddenly had trouble controlling the aircraft. The captain was pulling back the yoke to climb and finding the aircraft was not responding as he expected. He supplemented with nose-up pitch trim inputs using the pitch trim switches on the control wheel. The first officer called mayday on the radio before pulling on the right-hand yoke and selecting up on its trim switches. The aircraft climbed to 4000 feet before pitching into a 19 degrees nose-down dive which soon caused it to accelerate to 330 knots, exceeding the applicable maximum operating speed (VMO) by 80 knots. For a moment it was descending at 9500 feet/minute. SINK RATE! and PULL UP! alerts sounded. The aircraft descended to 1100 feet before climbing again as the captain applied full power. The captain, suspecting a problem with the elevators, commanded the elevator split control be used. This connected each control column only to the elevator on its side of the aircraft. The aircraft climbed to the calmer air of flight level 240, where the crew made an emollient announcement to the passengers (one of whom refused to board the replacement flight the next day, according to newspaper reports) and returned to Aberdeen. Landing was normal, but the crew correctly suspecting lightning damage to the APU did not start it. An inspection found the APU exhaust had partly melted, but other damage to the aircraft was minimal; some soot marks, one rivet, one screw and a radome stiffener loose. More to the point was that the aircraft had come uncomfortably close to striking the sea at high speed. Such an impact would, without question, have killed all 33 on board. The Air Accidents Investigation Branch looked at what happened and why it happened. Analysis of the flight data recorder found that the autopilot had not disconnected until the aircraft’s dive passed 1100 feet. At this point it had received 99 milliseconds of incorrect data from one of the two flight computers and automatically tripped off. Until that point, the crew had been, in effect, fighting the autopilot, which had been set to continue the approach. This had been an epic struggle; the AAIB calculated that at one point ‘the pilots were pulling a force in excess of 80 pounds (36 kilograms) on the control column, with the column almost fully aft’. Both pilots told investigators they had believed the autopilot had been disconnected by the lightning strike. Indeed, they told the investigators they had heard the ‘cavalry charge’ tone that accompanies autopilot disconnect at this time. The crew’s belief that the autopilot was off may have been amplified by one of their further actions; using the trim switches on the control yokes. During the incident both pilots operated the trim switches on their yokes, but on the Saab 2000 the trim switches on the yoke do not disconnect the autopilot, as they do on the similar but smaller Saab 340 series. The captain had accrued 4640 flight hours in the 340 but had only 143 hours in the Saab 2000. Of the first officer’s modest 1054 total flight hours, 260 had been accrued in the Saab 2000. Moreover, Saab 340 pilots with Loganair, including the captain, had undergone a line orientated flying training (LOFT) exercise, in which a lightning strike had been assumed to trigger an autopilot disconnection. Arguably, this had set a precedent in the captain’s mind. On both Saab types, applying force to override the autopilot results in a pitch trim caution on the primary flight display. This consists of a small letter, above the attitude direction indicator, either flashing or fixed. The captain had no recollection of seeing this. Mental models: these guide interaction with systems—an accurate mental model can facilitate good performance, but poor mental models can lead to misunderstanding of system functioning, increasing the risk of error. Designers can promote good mental models by optimising feedback, for example by providing indicators of system status and performance which are easily assimilated, even under stress. Cognitive tunnelling, or channelised attention, in which ‘individuals exhibit a tendency to focus on a small number of the most salient or expected information, and only information that supports the prevailing understanding of the situation may be processed. Cognitive tunnelling not only affects perception of visual signals, it can also affect auditory processing at times of high cognitive load; this is ‘inattentional deafness’. Clear and prominent status indicators can assist. It noted that the Saab 2000 was unique among fly-by-wire aircraft in having an autopilot that could not be overridden by force on the controls or disconnected by using trim switches. Differing opinions had no effect on a chilling reality. Had the autopilot not disconnected of its own accord the aircraft would in all probability have flown into the dark cold waters of the North Sea. In their paper ‘The Effectiveness of Airline Pilot Training for Abnormal Events’, Casner, Geven and Williams (2013) detailed issues with training for anomalous situations such as occurred with the Loganair crew. Specifically, research has consistently found that rote practiced skills do not tend to generalise or transfer like those taught in more meaningful, relevant fashion. They indicated that rote learning behaviours in a simulator produces restricted, memorised comprehension of problematic circumstances, and that these circumstances are not likely to be considered when crews are confronted by situations which do not fit those encountered in their training. Furthermore, the infrequency of emergency situations while flying is such that the aircrew would be subject to some level of startle or surprise. When such a psychological state occurs, the over-arousal renders one’s cognitive capabilities momentarily compromised such as appears to be the case with the Loganair crew. Casner, S. M., Geven, R. W., & Williams, K. T. (2013). The Effectiveness of Airline Pilot Training for Abnormal Events. HUMAN FACTORS, 55, pp. 477-48. And Vb is generally much lower than Va. Seldom do the twain meet. Vb & Va are often the same speed due full control maybe needed in a turb situation. Typical of SAAB to want to blame the crew, no one learns if these manufacturers can’t accept that the pilots are human & not machines !